If you're a teenager applying for a new driver's license through your state's Department of Motor Vehicles (DMV), Department of Transportation (DOT), Secretary of State (SOS), Motor Vehicle Administration (MVA), Motor Vehicle Division (MVD), or Department of Public Safety (DPS), you'll likely need to complete supervised behind-the-wheel training as part of your licensing requirements. While driver's training is a more common requirement for young drivers, many states require some form of behind-the-wheel supervision for new drivers of all ages. Whether your supervised behind-the-wheel training is a component of your state's graduated driver's licensing (GDL) program or standard licensing process, practicing driving with a driving instructor or a licensed adult will help you develop the skills and experience necessary to ace your driving test and get on the road with your first unrestricted driver's license. In some states, professional driver's training with a licensed driving instructor is included in the state's Driver's Ed curriculum. After the classroom component of the driver's education program, some courses provide sessions of in-car instruction, which often include both behind-the-wheel practice AND observation. Behind-the-wheel training with a licensed parent, legal guardian or qualified adult is often an additional piece of your supervised driver's training requirements. Generally, you can begin practicing your supervised driving after you've completed Driver's Ed and obtained your learner's permit. Completing a minimum number of supervised driving hours. Completing some of your driving practice at night. Keeping a log of your behind-the-wheel practice. Submitting a certification form signed by your parent/legal guardian. 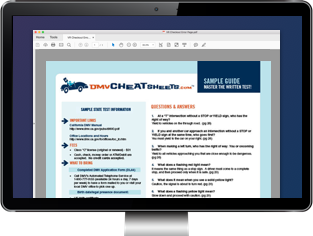 Choose your state below to learn about the behind-the-wheel requirements you'll need to complete to get your driver's license through your state's DMV, DOT, SOS, MVA, MVD, or DPS. The prerequisites needed to begin supervised driving practice. The minimum amount of professional driver's training required. Keeping track of your behind-the-wheel practice with a licensed adult. The minimum amount of supervised driving you'll need to complete. The next steps towards your provisional license and full driver's license. Supervised behind-the-wheel practice is an important requirement during the learner's permit stage of your state's licensing program. You'll gain real driving experience, and you'll be able to put your Driver's Ed lessons and safe driving knowledge to practice. Not only will you be better prepared for your DMV road test, but you'll also be ready to take on the responsibilities of new driver.